With one of the most beautiful coastlines in the Caribbean, Jamaica is truly blessed when it comes to fantastic beaches. The beaches in Jamaica are dazzling white sands lined by swaying palm trees, and the turquoise waters that border them really will make you feel like you’re on a paradise island. With its laidback and welcoming vibe, the home of Bob Marley is a delightful country to travel around, and everywhere you go, you’ll come across idyllic beaches to enjoy. The island nation boasts more than 600 miles of coastline, so as you can imagine, there really is a beach in Jamaica for every kind of traveler out there. Whether you’re after a relaxing time at one of Jamaica’s remote beaches, want to snorkel in Jamaica’s crystal clear waters, or head to a spot with some lively nightlife, Jamaica’s beaches certainly won’t disappoint. 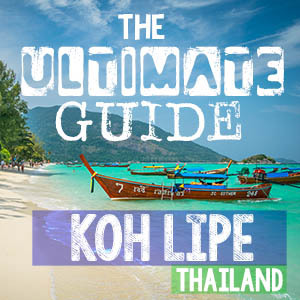 Each of them has its own unique features and vibe, so you’ll definitely want to try and visit as many beaches as possible! Everywhere you go, you’ll hear reggae and dancehall music playing. Jamaica’s rich cultural heritage also shines through in its delicious and varied cuisine. In addition to this, the country has lots of great attractions and stunning natural scenery; these are often just a short distance away from its beautiful beaches. In fact, it has so much to see and do and such a lovely atmosphere that many people find themselves drawn back to Jamaica for years to come. To help you make the most of your trip to this tropical paradise in the Caribbean, we’ve come up with a list of the best beaches in Jamaica. While Negril, Montego Bay, and Ocho Rios are among the most popular places in Jamaica to head to, it is well worth exploring the rest of its coastline to find some hidden gems. In any case, you really can’t go wrong, so welcome to Jamaica and let us know your favorite finds! Located on the west coast of Jamaica, Seven Mile Beach is undoubtedly one of the best beaches in Jamaica, and one of the most popular to boot. With glorious white sands that seemingly stretch forever and sparkling turquoise waters, it really does look spectacular, and there are lots to things to do in Negril other than just lounging on the beach. The lively resort town of Negril lies at one end of the beach; here, you’ll find lots of restaurants, bars, and hotels that cater to all budgets. As well as the idyllic and inviting white sands, Seven Mile Beach has some fantastic, rugged cliffs for you to explore. You’ll often see people jumping from the clifftops into the Caribbean – give it a go if you’re brave enough! Rick’s Cafe – one of the best bars in Negril – is located up on the cliffs, and watching the sun go down from the terrace with a drink in hand really is a memorable experience. In fact, many of the restaurants have lovely views out over the Caribbean for you to enjoy while eating a delicious seafood lunch. We highly suggest a sunset catamaran cruise. We’ve personally done this cruise twice and it has always been a blast. It’s advised to book in advance as it does sell out, book online here. Many of the Negril resorts and hotels that you find here are located right on the beach, which makes waking up in the morning a joy; you simply have to roll out of bed and you’re in paradise! In addition to all the accommodation options, Seven Mile Beach also has the most bars of any beach in Jamaica. Consequently, it’s a fun place to go out, and lots of places have live bands playing reggae for you to listen to. All along the beachfront are sun loungers and parasols to rent, as well as showers and picnic tables to use. The beach never gets too crowded, just walk down the beach and you can always have your own slice of sand. There are lots of watersports on Seven Mile Beach for guests to try out, such as parasailing, scuba diving, snorkeling, and sailing. With so much to see and do and such incredible scenery too, Seven Mile Beach really does have something for everyone to enjoy. We’ve stayed in Negril on five different trips, it is easily our favorite beach in Jamaica and all of the Caribbean for that matter. We love being to walk the white sandy beach for hours, have a beer at the little beach bars, listen to live Reggae, eat authentic Jerk Chicken, and much more. It’s one of those places we keep going back to. There are some amazing Airbnb’s on the cliffs in Negril, sign up here for a $40 credit! –>> sign up here! While it isn’t the prettiest beach in Jamaica, Treasure Beach has more than enough about it to justify a visit. Lying on the south coast of Jamaica, it is a quiet and laidback place that receives relatively few visitors, so it is perfect if you’re looking for a relaxing vacation. Indeed, it feels a million miles away from the lively Seven Mile Beach as it is quite undeveloped and has very little in the way of hotels, restaurants, bars, and resorts. Although Treasure Beach is very much off the beaten path, the word is spreading about how charming it is, and it’s only a matter of time before tourism to the area kicks off. The sleepy little fishing town does not have many facilities on offer, but there are a couple of excellent restaurants along the beachfront, as well as some great jerk chicken stands. Of the hotels, Jake’s is the most popular and has an awesome with lovely views out over the sea. Sandals is our favorite and where we suggest. For those on a Jamaican honeymoon consider Sandals South Coast Resort. We personally have stayed here in one of the famous overwater bungalow called the honeymoon villas. There are two resorts with overwater villas in Jamaica, one in Montego Bay and one here in Treasure Beach. Click here to check rates. While the beach and scenery are nice enough without being anything special, Treasure Beach is located just a stone’s throw away from some must-see sights in Jamaica. The YS Falls, for instance, is around a 45-minute drive away. The waterfalls are amazing to see; there are also zip lines at YS Falls for those seeking an adrenaline rush. Another great thing to do is to take a boat trip and have a drink at Pelican Bar – a rickety bar in the middle of the ocean! The Pelican Bar is located about a 5-10 minute boat ride from shore. All in all, it’s no surprise that Treasure Beach is growing in popularity. For the moment, however, it is ideal for people looking to enjoy a quiet getaway. We’ve been to the Pelican Bar several times and it is always a blast. On our most recent trip, Floyd (owner) was expanding the bar and putting up solar panels. It’s been interesting to see how the bar has grown since our first visit in 2011. If you’re wanting to visit the Pelican Bar consider joining a tour. If you are staying in Montego Bay or on a cruise ship that is docked in Montego Bay for the day you can still visit the Pelican bar on a day trip. If you are staying at Sandals South Coast you can take their luxury catamaran trip out to the Pelican Bar. If you’re looking for a taste of the ‘real’ Jamaica, Winnifred Beach is the place to go, as you’ll find lots of locals here. There is a very chilled out and welcoming atmosphere, and you’ll come across lots of vendors selling anything from souvenirs to delicious Jamaican patties and horseback rides along the beach. Lying in a beautiful cove with golden sands and refreshing turquoise water, Winnifred Beach looks stunning and is definitely one of the best beaches in Jamaica. The beachfront is delightfully undeveloped; there are no hotels or restaurants here, although a few can be found within walking distance of the beach. There are, however, a few rum shacks and jerk chicken stands if you want to sample more of the local flavor! Although there aren’t any sun loungers or parasols, there is more than enough shade on offer, with lots of trees overlooking the golden sands. In addition to all this, there is a fantastic coral reef just offshore; the water is very calm making it ideal for swimming and snorkeling. Popular amongst locals and tourists alike, James Bond Beach is idyllic, with a very chilled out vibe. The beach is so named because Ian Fleming – the author who wrote the James Bond novels – used to spend a lot of time here. The local airport is even named after him, and one of the best local restaurants is the Bizot Bar at the GoldenEye Resort – another James Bond reference! Serving up both international and Jamaican cuisine, it lies about a mile from the beach, which doesn’t have any bars, restaurants or hotels any closer to it. Located on a small peninsula, the beach is surrounded by lovely, clear waters and has a very untouched feel. This is what makes it one of the best beaches in Jamaica – the scenery is unspoiled and looks so amazing. This does, however, mean that you won’t find any amenities here, although food vendors do pass by from time to time. On the plus side, its tranquil waters are great if you want to go swimming or fancy trying out some of the fantastic watersports on offer. If you’re looking for a secluded and even off the map experience, Little Dunn’s River Beach may be the place for you! Mostly overlooked and unknown to tourists, who instead head to the famous Dunn’s River Falls, this little beach is a hidden gem and definitely worth visiting if you have the chance. Located just outside of Ocho Rios, it is mostly frequented by locals and is a fun and friendly spot to head to. While the beach itself is tiny, it looks impressive; a picturesque little waterfall pours directly into the Caribbean Sea here. Although there are no facilities to speak of, it boasts great views of the surrounding coastline, as well as fantastic snorkeling. After you’ve enjoyed this unique beach, you can always head to the nearby Mystic Mountain Adventure Park, which has lots of fun activities. Located at the heart of Ocho Rios, this beautiful beach has lovely white sands for you to lounge on; it’s no wonder that many people consider it to be one of the best beaches in Jamaica. As Ocho Rios is a popular cruise destination, the town has lots of bars, restaurants, and resorts to offer, so it is ideal for people looking for a convenient and easy beach vacation. From here, you can easily organize day trips from Ocho Rios to go kayaking, jet skiing or visit some of the nearby sights. The beach is very well serviced, so there are lots of places where you can rent a sun lounger or grab an umbrella. Its crystal clear waters are perfect for swimming in. If you’re looking for a fun night out then Margaritaville is the place to head; it has some legendary nightlife! If you’re craving some American/Western food Margaritaville has good food options for those tourists craving a burger & fries. When visiting this beautiful beach, you really will think you’re in paradise. As it is a private beach, everything is very well looked after. It has some of the best facilities in Jamaica, with sunbeds, umbrellas and restroom access all included in the price. As such, it is ideal for people looking for the perfect beach experience! Located in famous Montego Bay, Doctor’s Cave Beach has a wonderful beachside bar and restaurant for you to grab a meal or drink at, and the local area has lots of restaurants, bars, and resorts. While it is normally pretty laid back, it can get quite busy when cruise ships are docked in the city. In addition to its amazing amenities, there is a colorful reef just offshore which, is terrific to snorkel at. 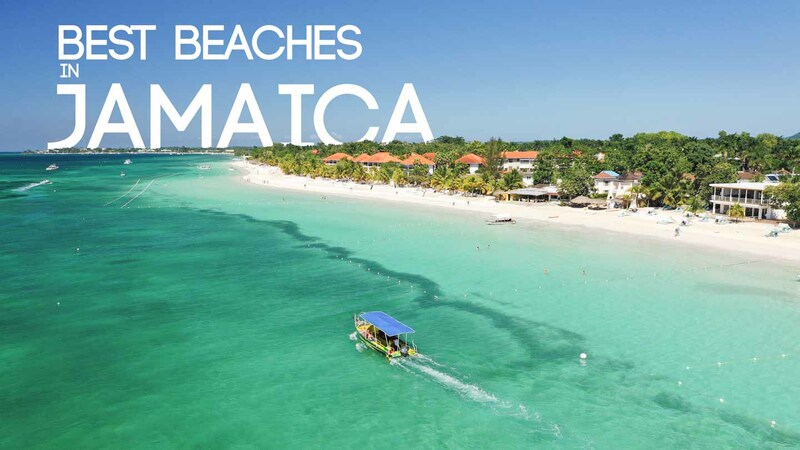 Definitely one of the best beaches in Jamaica, you must visit if you’re in Montego Bay! Offering some of the best jerk chicken in Jamaica – and some of the largest waves to boot – Boston Bay Beach is perfect for both foodies and surfers! There are lots of little food stands and restaurants nearby, and at the Boston Bay Jerk Center, you’ll find row upon row of delicious jerk chicken and pork to sample. On the other hand, if you’ve come for the surfing, simply jump in the clear waters and ride those swells! Located on the east coast of Jamaica, the beach lies inside a lovely bay, and the views on offer are just breathtaking. Boston Bay Beach is a pretty chilled out place and is usually not very crowded, which means you won’t find much in the way of facilities. With some nice hotels nearby, however – such as the Great Huts Resort – there are more than enough options when it comes to dining and accommodation. One of Jamaica’s best beaches, Frenchman’s Cove looks as if it came straight out of a holiday catalog and is a must-visit! What is particularly delightful is the lovely little river flowing into the sea at one end of the beach. The steep cliffs surrounding the cove give it a secluded feel, and there’s a somewhat wild look to it. Lord of the Flies was actually filmed here! Because it is a private beach, there are showers and restrooms for guests to use, and this entrance fee also prevents it from getting too crowded. One lovely feature is the nearby restaurant; you can arrange to eat your meal on the beach itself! With its picturesque setting and beautiful look, Frenchman’s Cove Beach is the place to head to if you want to dine in style! We have been to Jamaica six times and each time we hired a taxi driver on our own. Most hotels will have set rates to the main attractions like the Pelican bar, Ricks Cafe, and other Jamaican beaches. But it is much cheaper to arrange it on your own. Most hotels in Jamaica will advise against this and tell you it is unsafe to take a Jamaican taxi. Make sure you go with a JUTA driver, JUTA drivers have strict requirements: clean driving records, proper insurance, clean background, etc. Hannah’s parents have used the same driver, Jackson, for over 15 years and we too have personally ridden with him on several of our Jamaica day trips. Another driver we’ve ridden with is Lloyd. He drove us around Jamaica on our last visit, he previously was the president of the Negril JUTA chapter. They both were great safe drivers and we recommend them. Email both of them to get prices and to arrange to visit some of the best things to do in Jamaica or other beaches in Jamaica. What do you think is the #1 beach in Jamaica? Leave a comment below we love to hear from you. Frenchman’s Cove is definitely my favourite!